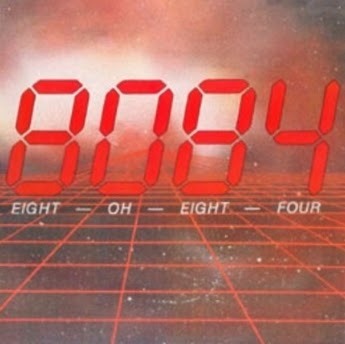 - 8084 was formed in the spring of 1982. Keyboard player Charlie Hawthorne, vocalist Randy Smith, and drummer Gary Spaulding met through a mutual friend and began planning the concept of a high energy, commercial, original rock group. The goal was to perform the current rock hits of the day on the local bar circuit to make a living and to provide a platform from which to launch an original album project. The band would be visually as well as musically stimulating during live performances. In the fall of 1982, bassist Frank Barnes and guitarist Andre Maquera joined the group, finally forming the core of 8084 as you know them today. From 1982 through 1985, the band performed throughout the northeastern United States and Canada, gaining new fans wherever they went. Their high-energy shows and tight vocal harmonies earned them the reputation as the hottest bar band on the New England circuit. In 1986, the band left their families and friends in northern Vermont to move into a house in Manchester, New Hampshire. The plan was to spend six months writing songs for their debut album while simultaneously performing on the Boston club circuit. At this time, 8084 caught the eye of Boston producer and former drummer for the band New England, Hirsh Gardner. The team collaborated for the next few months, spending time in Boston working on demos and writing new material. In the fall of 1986, 8084 recorded their self-titled debut album. The album was released on a small independent label, but soon the band secured a European distribution deal with Semaphore Records based in The Netherlands. European sales soon took off, and 8084 started receiving press and fan mail from magazines and fans throughout Europe. Back in the states, 8084's reputation continued to grow, and they were taken under the wing of Sixties folk-rock icon Richie Havens. Havens worked with the band as an advisor and mentor, teaching them the ins and outs he had learned as a respected member of the American music community. In April of 1987, 8084 competed in Rock Search International, a music competition held at the Olympic Stadium Vellodrome in Montreal, Canada, and which featured bands from North America. During the four days of competition, 8084 emerged victorious, taking first place and bringing the 10,000 attendees to a standing ovation at the end of their set. Since the judges for Rock Search included presidents, vice-presidents, and other high-ranking executives from CBS Records, Virgin Records, and Yamaha Music Corporation, it was only a matter of days before the band began receiving offers for management. 8084 signed a management and recording contract with MCM, a CBS affiliated management company, and immediately began work on an album with CBS/PolyGram recording star Aldo Nova as the producer. (Aldo's credits include his own hits, 'Life is Just a Fantasy' and 'Blood on the Bricks', as well as performing and production credits for work with Jon Bon Jovi, Cindy Lauper, and Celine Dion.) 8084 moved to Montreal and spent the next five months writing and recording their second album. The album was 75% complete when, for legal reasons, the project was put on hold. The band moved back to the States, and continued writing in their own, newly opened studio in Rouses Point, NY. In 1988, 8084 expanded their touring circuit to include points as far away as Florida and Michigan. 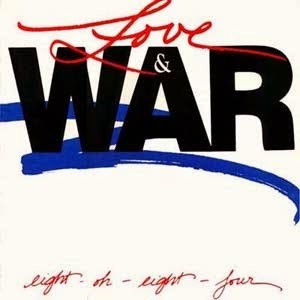 With their popularity increasing, the band reworked some of the tracks they had done in Montreal and added some new material to produce--again with Hirsh Gardner at the helm--their official second album, Love and War, which was released to critical acclaim in the United States and Europe. Soon thereafter drummer Gary Spaulding decided to leave the band. He was replaced by Springfield, Vermont native, Scott "Punky" Mitchell. In 1989, during one of the band's Florida shows (at Spinnaker in Panama City Beach), the band caught the attention of a Coors' Brewing Company executive. Coors offered to sponsor the band, and subsequently, the touring increased. Just like falling dominoes, one sponsorship initiated another, and soon 8084 found itself being endorsed by--and endorsing--Schoales Guitars, Takamine Guitars, Hughes and Kettner Amps and Electronics, Pro Mark Drum Sticks, Trace Eliot Amplification, and Remo Drum Heads. The sponsorships, along with the increased touring and the critical acclaim, enabled 8084 to be put on the bill with some major label touring acts. Soon the band found itself sharing the stage with artists such as Warrant, Henry Lee Summer, Blue Oyster Cult, and many others. 8084 seemed to be headed for the major leagues once again when tragedy struck. On Christmas Eve, 1989, keyboardist and founder, Charlie Hawthorne, was killed in an automobile accident while driving home from a local performance. Charlie was the leader, the father, and the inspiration for the band. Recovery for the remaining members was not easy, but they knew they weren't ready to throw in the towel. In January of 1990, after a two-week reformation and mourning, the band returned to the scene as a four-piece unit. They continued to tour the eastern seaboard, promoting their 2nd album and learning to perform without Charlie. In the summer of 1990, the band went back into the studio to record their third album, "Satisfaction Guaranteed". The album was released in the spring of 1991 and sold very well on a regional basis. 1992 brought about big changes for 8084. Randy decided to leave the band for family and personal reasons. Although a very difficult decision, the band and Randy parted on good terms. After searching for nearly three months, the band finally found a replacement in RI vocalist, Gary "Vinnie" Fouco. The torch was passed and the band was back in business. The band continued to tour the Northeast USA with Gary until the fall of 1994. In October of that year, Gary decided to leave the group and Randy was asked to fill in temporarily until a replacement for Gary could be found. Two months turned into eight, and the band once again began to write and demo new material. After a brief departure, Randy decided to rejoin the group on a permanent basis in the spring of 1996. Plans were put in motion to once again record and release a new album, and the subsequent touring allowed the band to once again become a tight, powerful unit. In 1997, drummer Scott Belisle, a Vermont native, joined the group to complete the 8084 lineup. 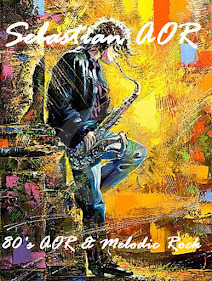 In 1999, 8084 signed with USA label GB Music, and released a compilation disc in Europe of material from the band's first three albums. Entitled "So Far", the CD contains "the best of 8084 so far", with many songs re-recorded and digitally re-mastered for a modern quality. However, the original analog keyboard parts played by the late Charlie Hawthorne remained intact on the CD. As the year 2000 arrived, and on the strength of strong reviews and sales of their European and regional US "So Far" release, 8084 asked original drummer Gary Spaulding to rejoin the group. Mutually artistic directions prevailed and Gary began playing live and in the studio with his old mates in the early part of 2000. In 2001, original bass player Frank Barnes decided to leave the group to pursue other interests. Although his fine bass playing, vocals, and leadership were missed, in the 8084 tradition, the band rearranged roles and replaced Frank with long time friend and bass player, Roy Brown. The lead vocal ability and energy Roy brought to the group fueled the fires and the band continued on without a stumble. This same year, 8084 also began working on material for a brand new release. Tentatively titled "The Last Great Train", the project promised a simple but more powerful sound, with the strong melodic hooks, crunchy guitar and powerful harmonies that have always branded the 8084 sound. Released in late 2005, the CD was well received as an import in European countries such as Germany and Sweden.